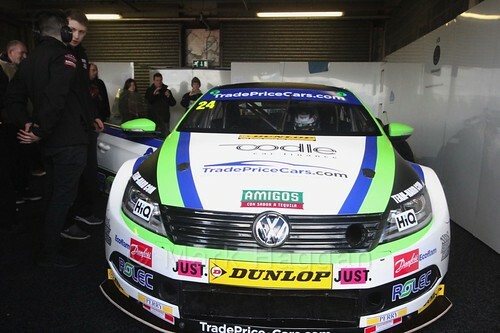 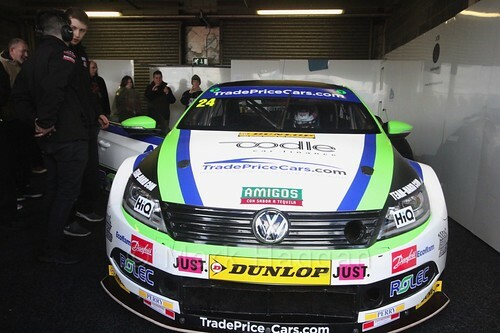 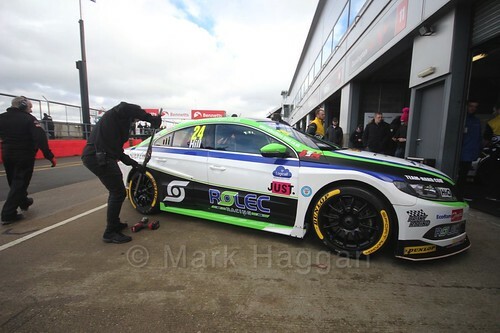 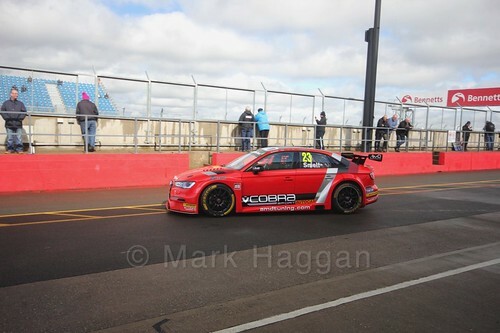 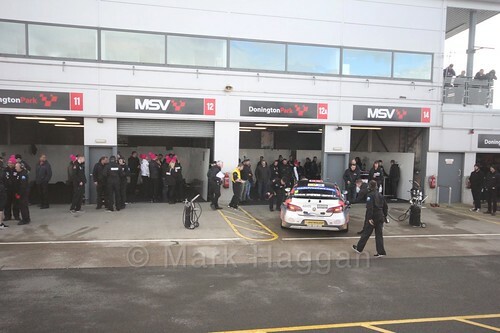 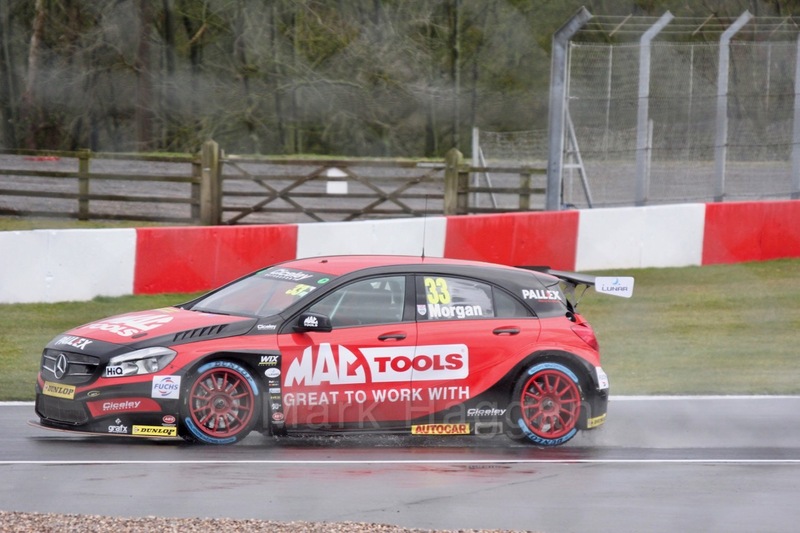 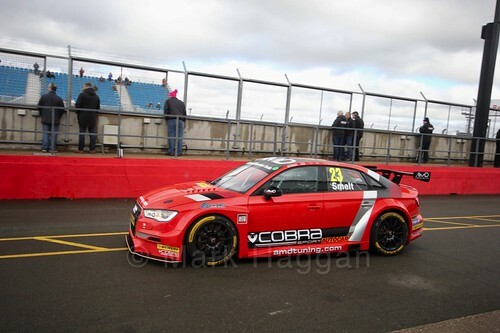 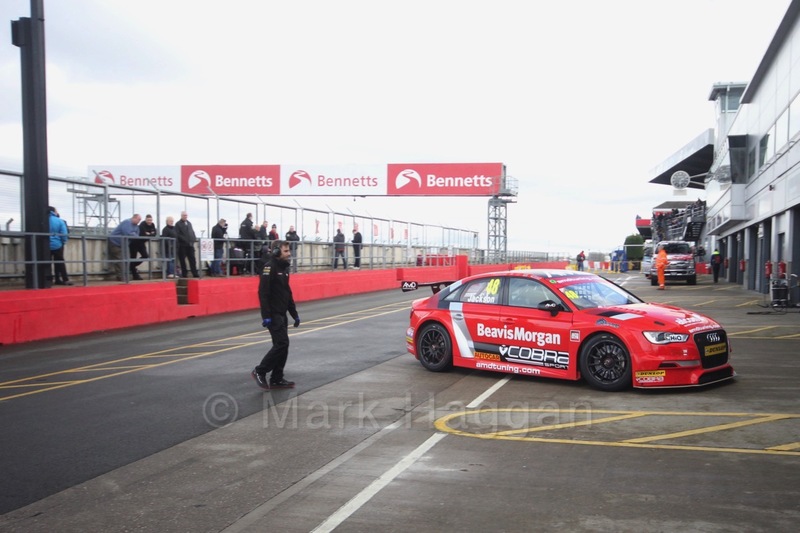 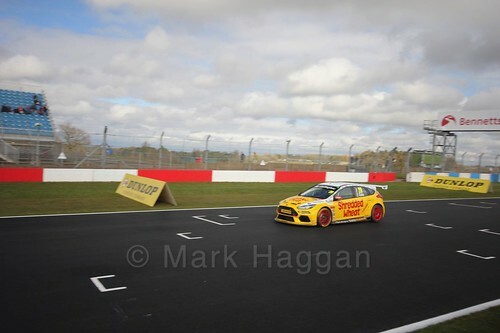 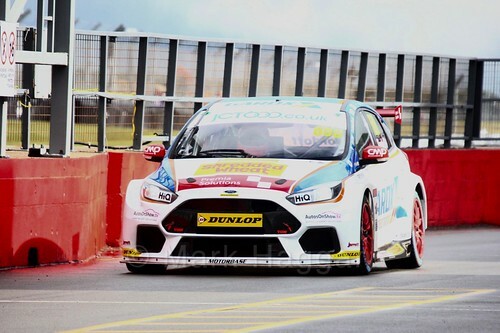 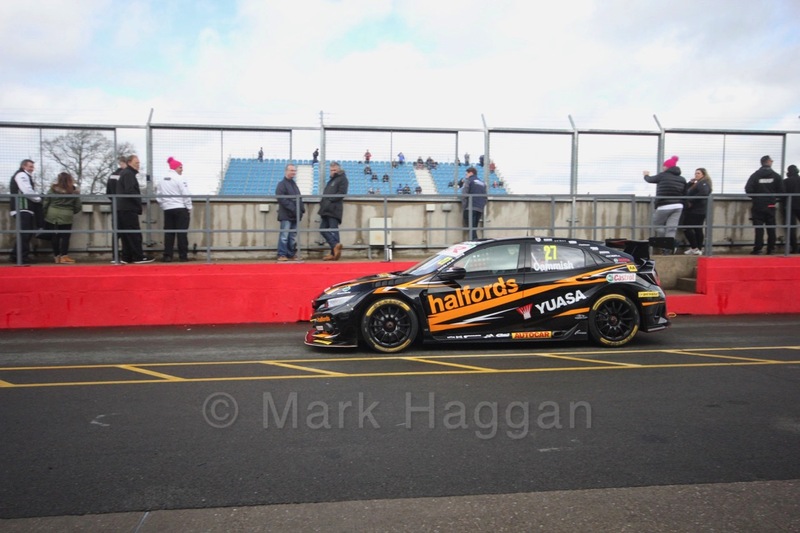 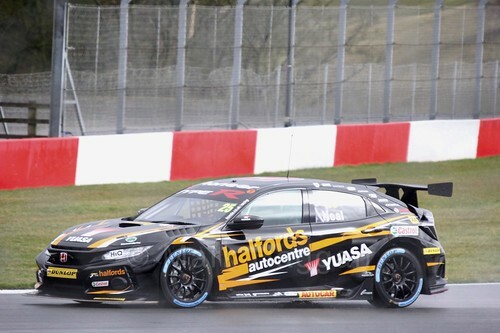 Today saw the BTCC Media Day 2018 at Donington Park, and as has been the standard format in recent years, the day saw the teams launch their cars in the morning and a series of interviews, followed by a public access test session in the afternoon. The day started overcast and wet, with the rain stopping around lunchtime and the track becoming gradually drier as the clouds started to disappear. 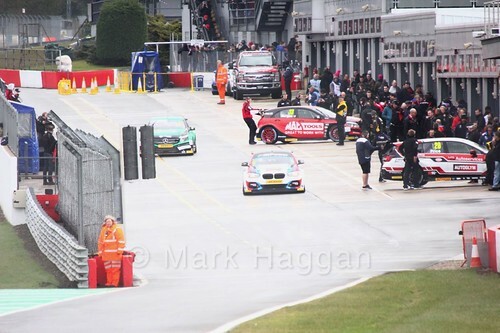 It was the first opportunity to see all the new cars together, and the drivers featuring some new to BTCC and some returners back on the grid. It is hard to tell real form for the season from the media day test, but as is normally the case with the BTCC, the times were close with the final standings seeing the top ten drivers separated by less than 0.6 of a second. 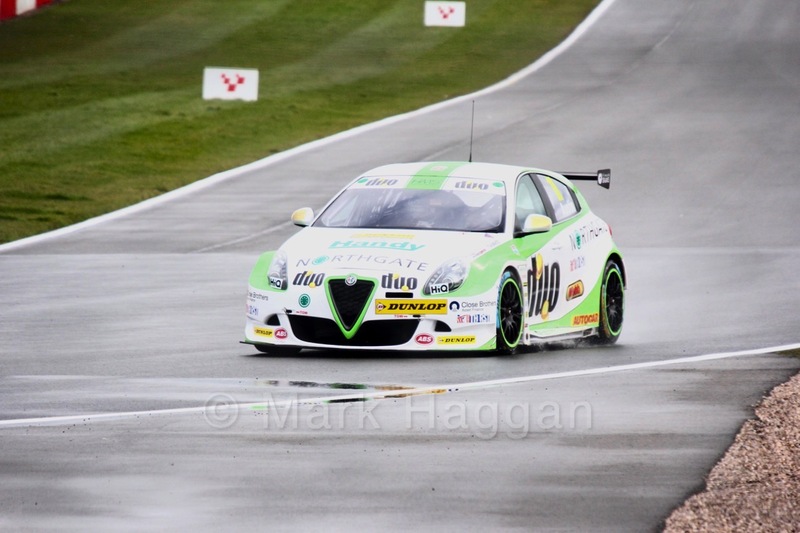 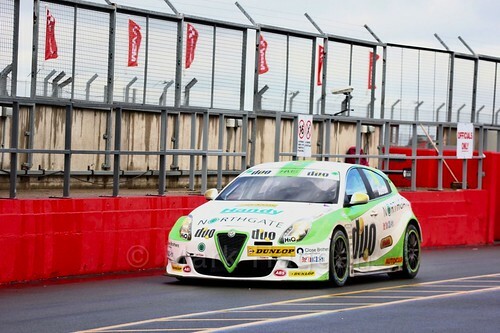 It was Rob Austin’s Alfa Romeo Guilietta that topped the table. 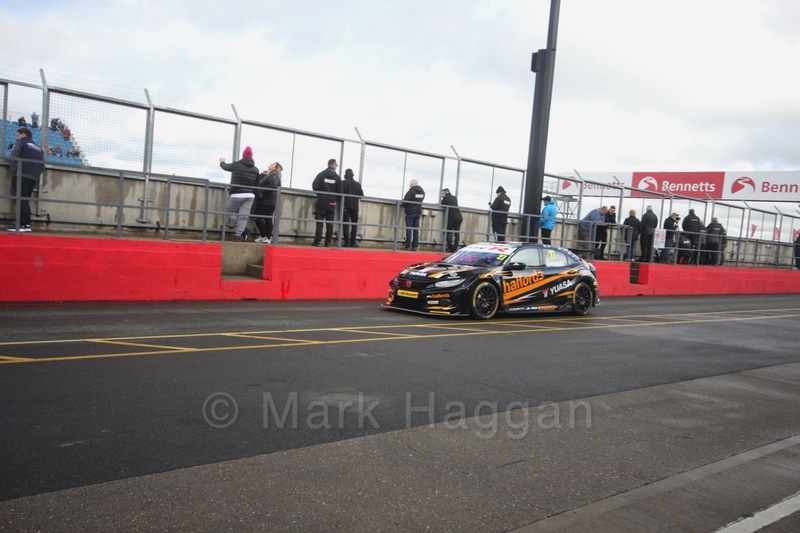 It was as always a good spectacle for the many fans who came for the afternoon, with all the cars getting in to double figures of laps completed, and James Cole getting up to 73 laps in his Ford Focus. 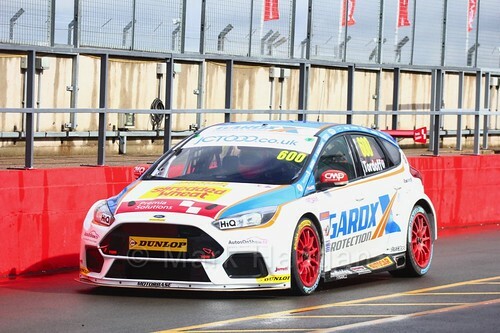 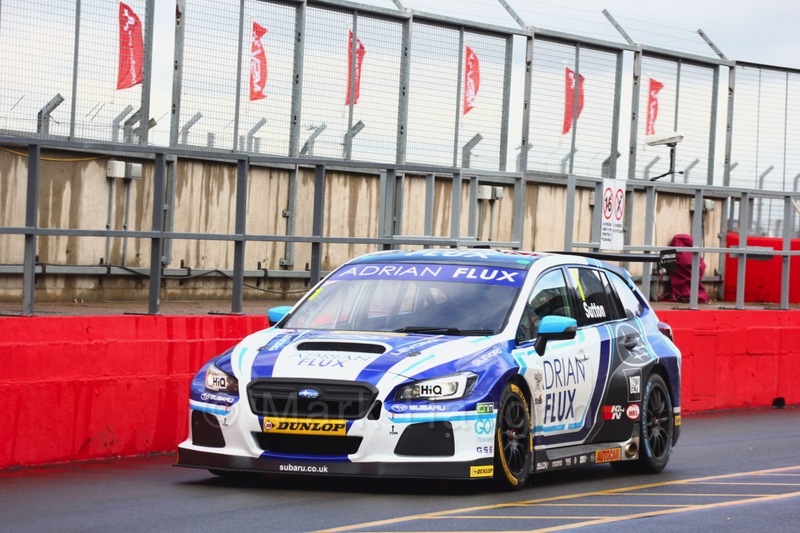 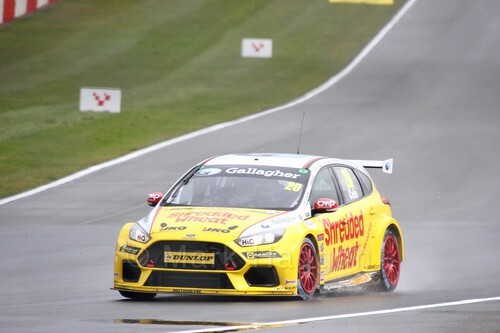 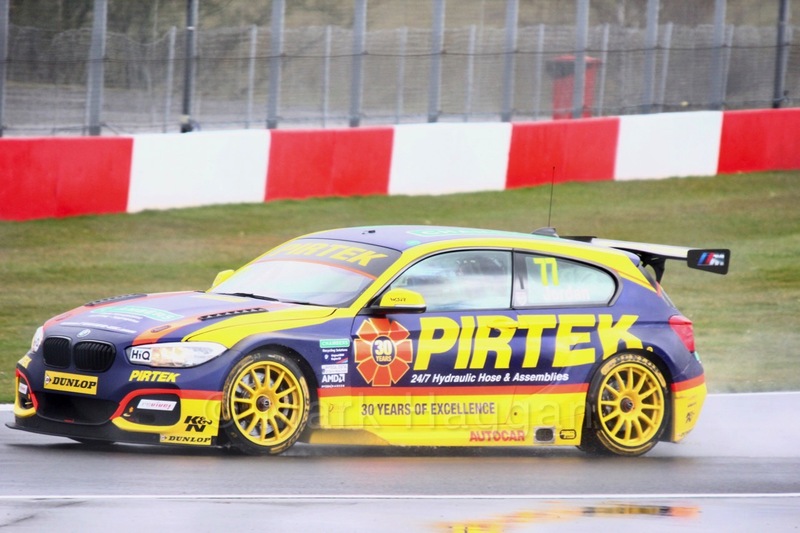 The cars will make their race debut in a week and a half at Brands Hatch before a return to Donington for their race weekend there. 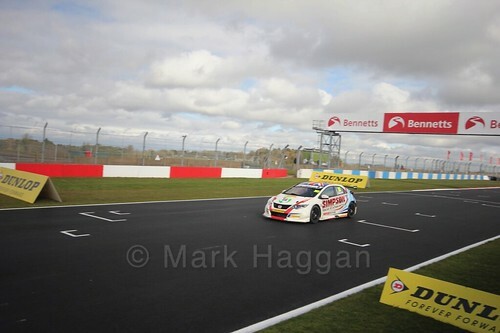 In the meantime, here are some photos and a couple of videos of some of the action today. 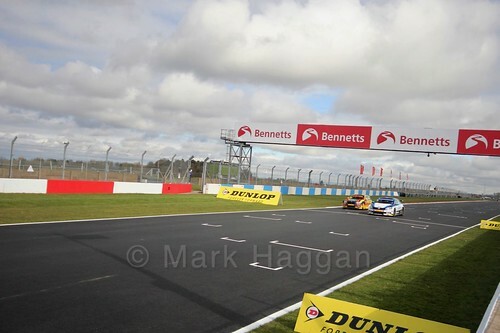 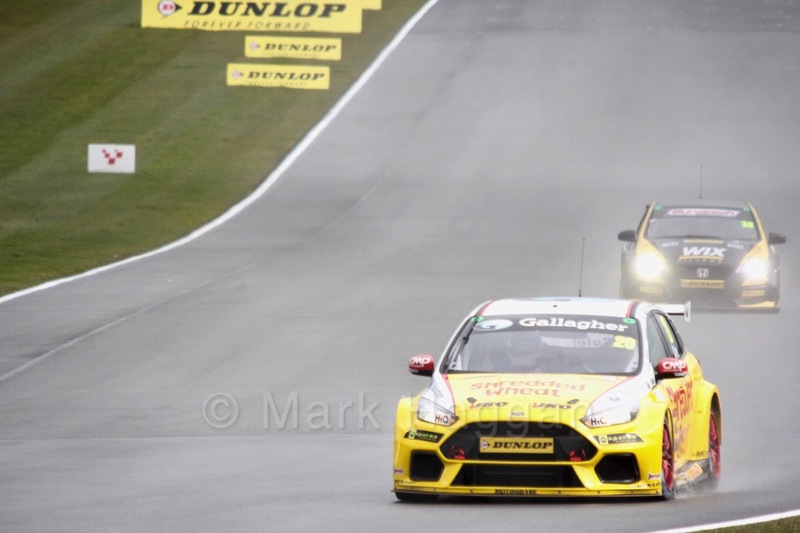 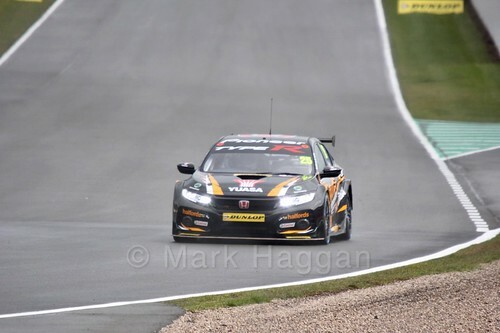 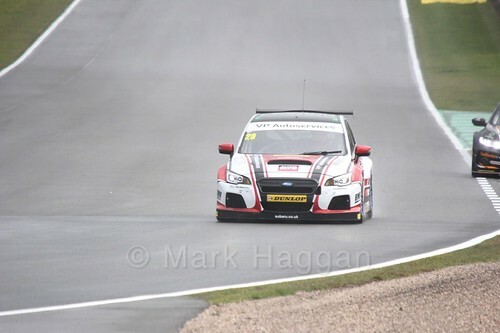 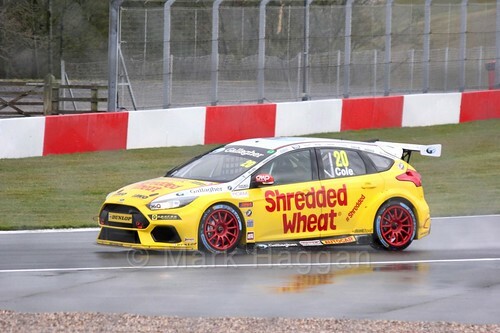 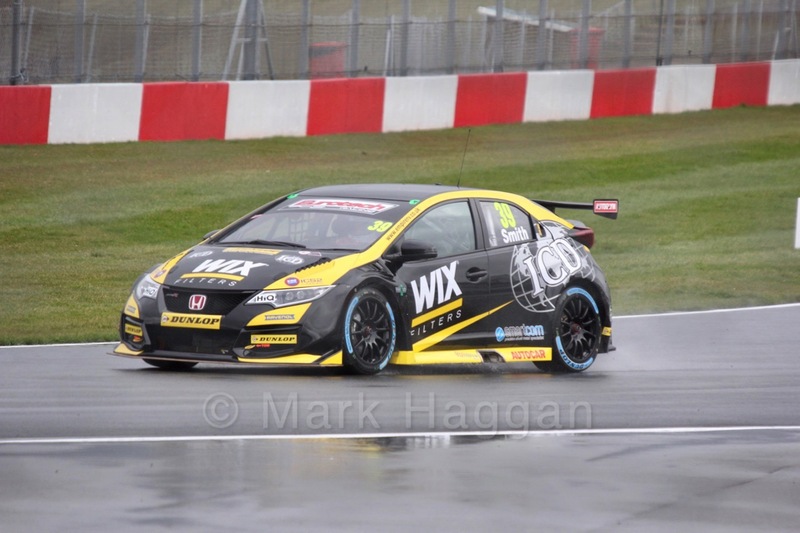 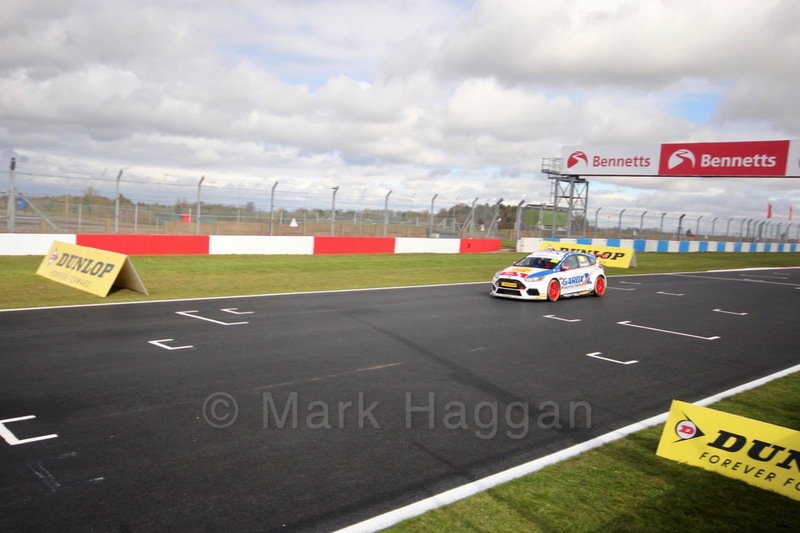 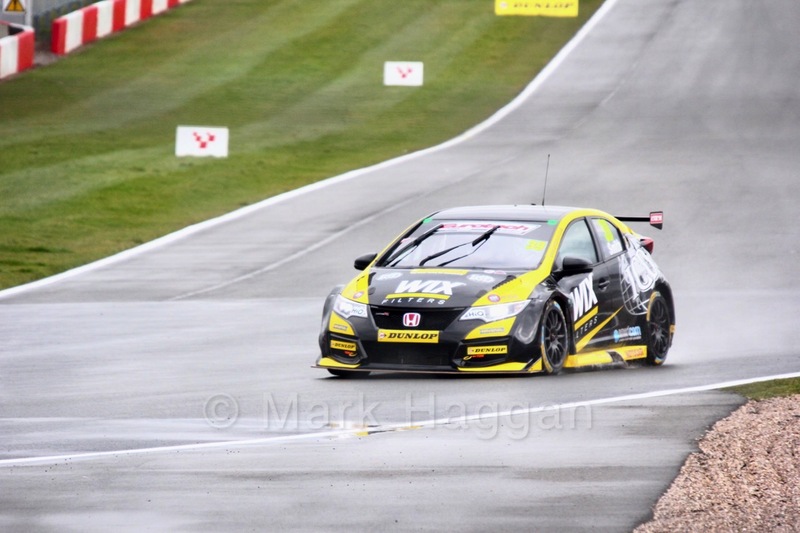 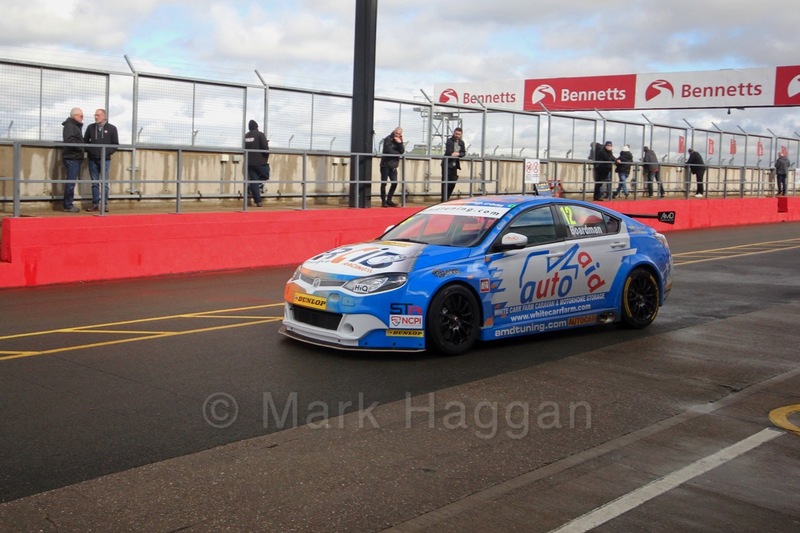 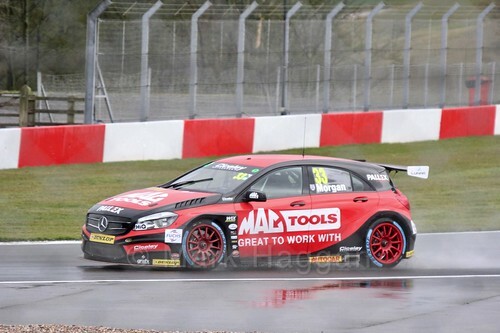 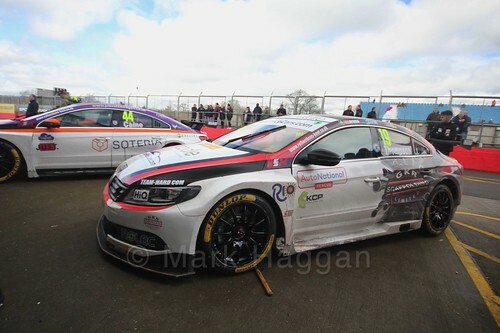 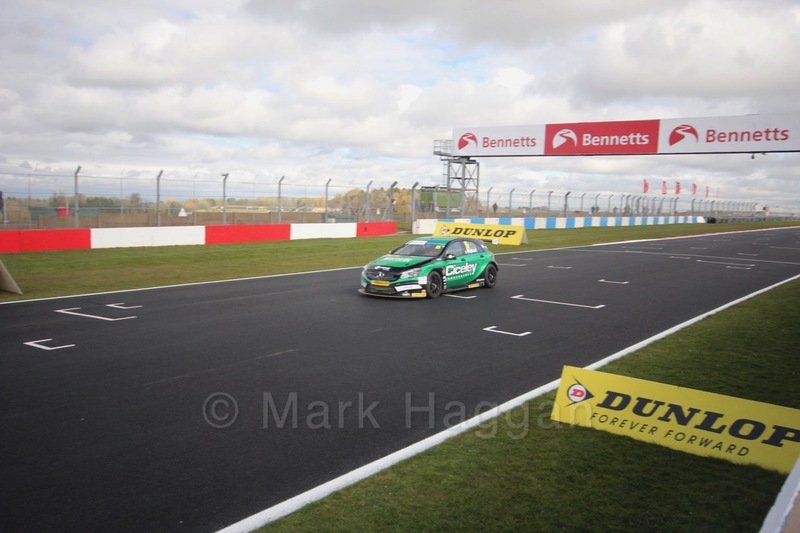 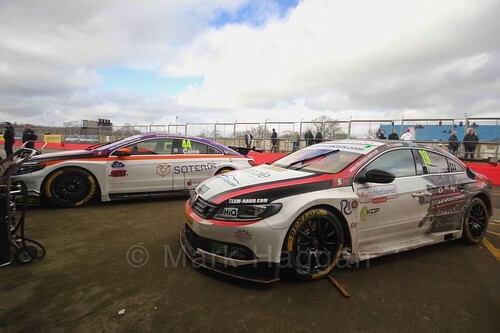 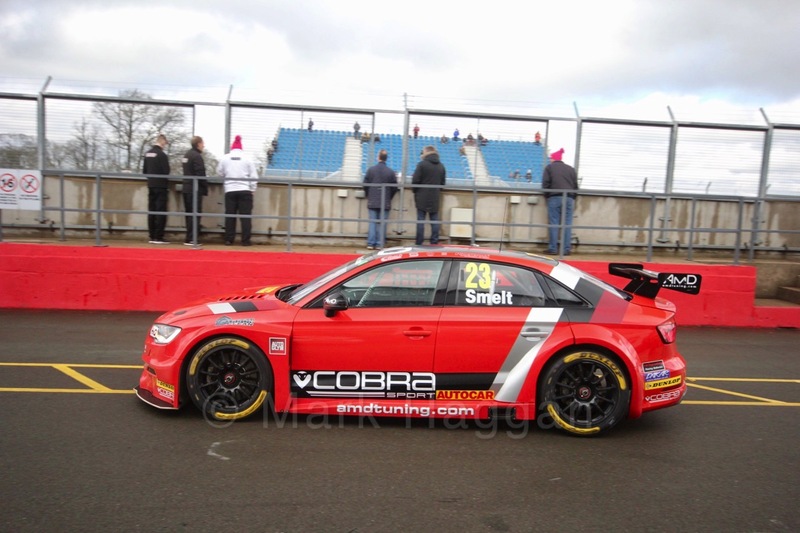 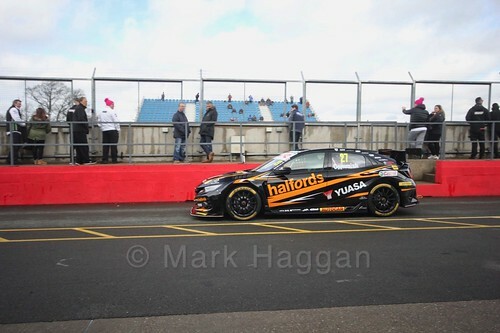 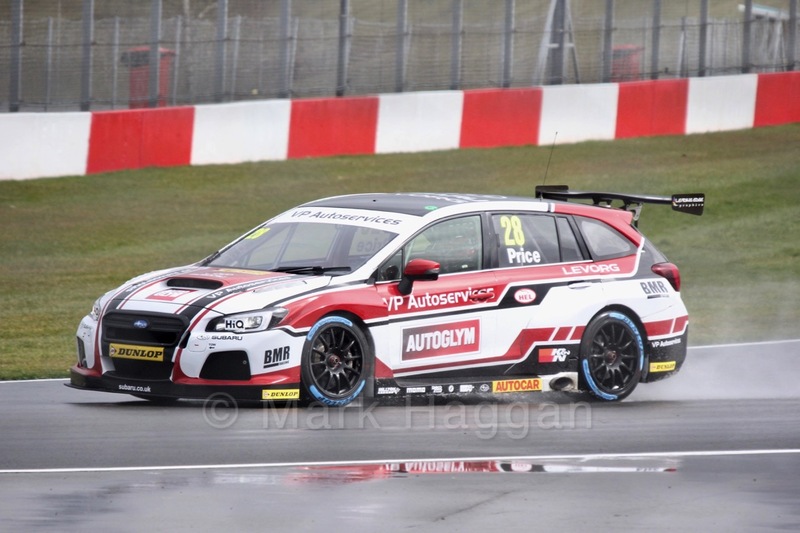 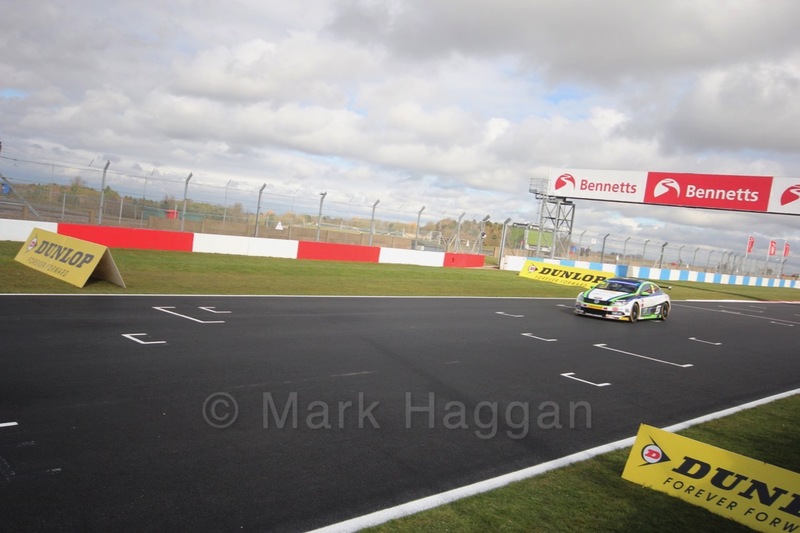 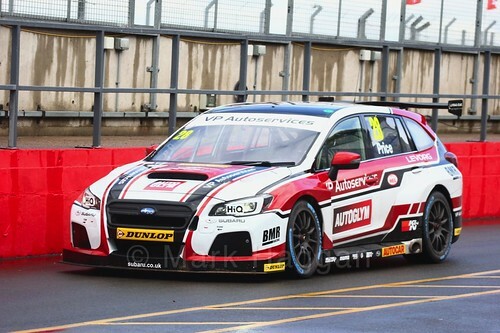 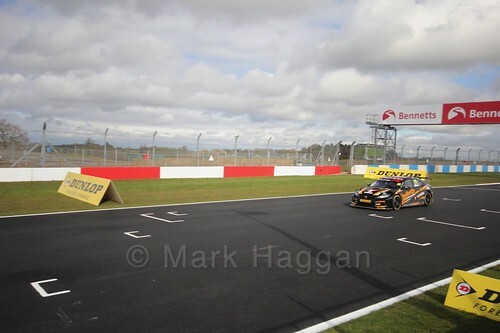 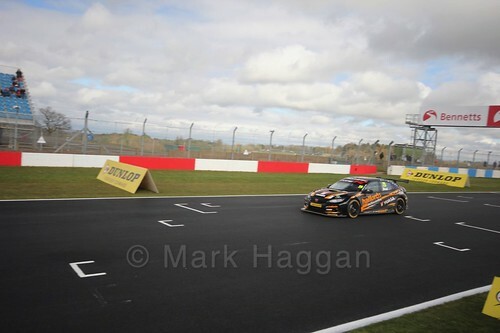 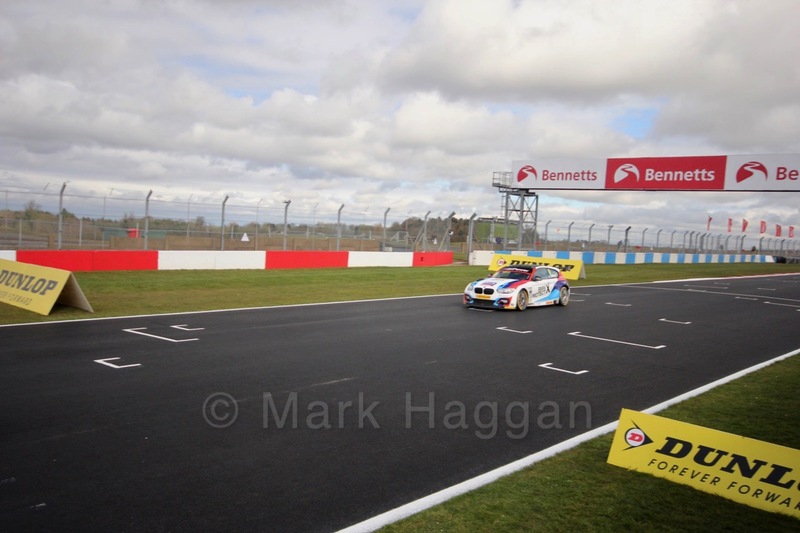 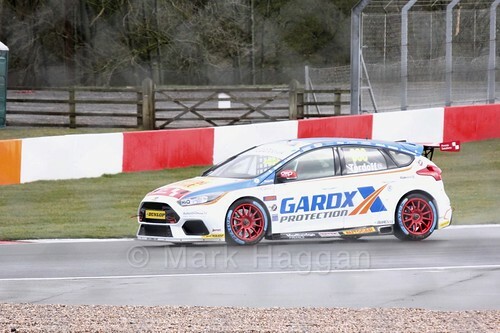 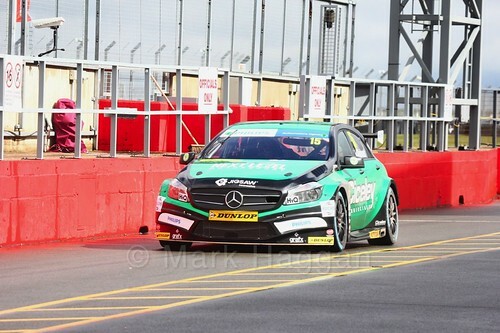 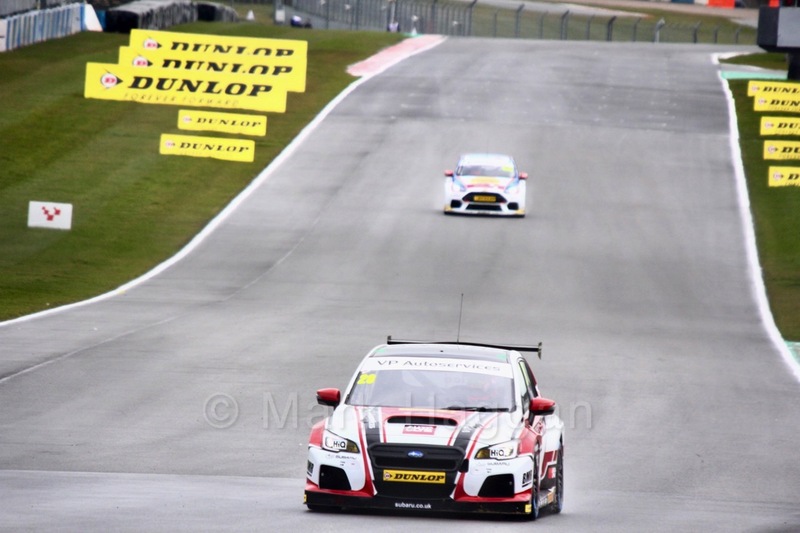 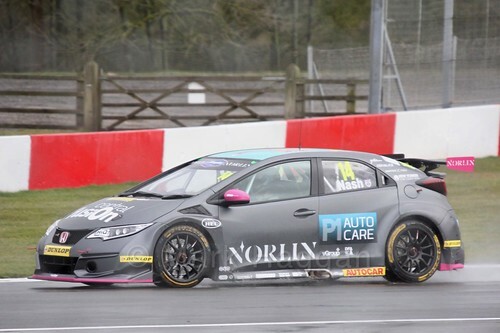 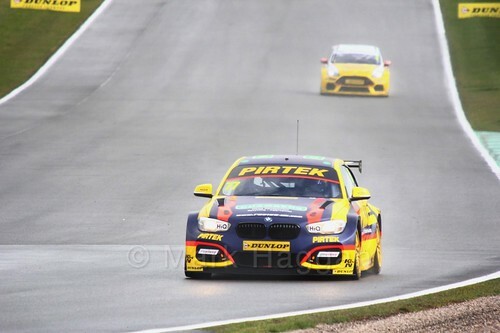 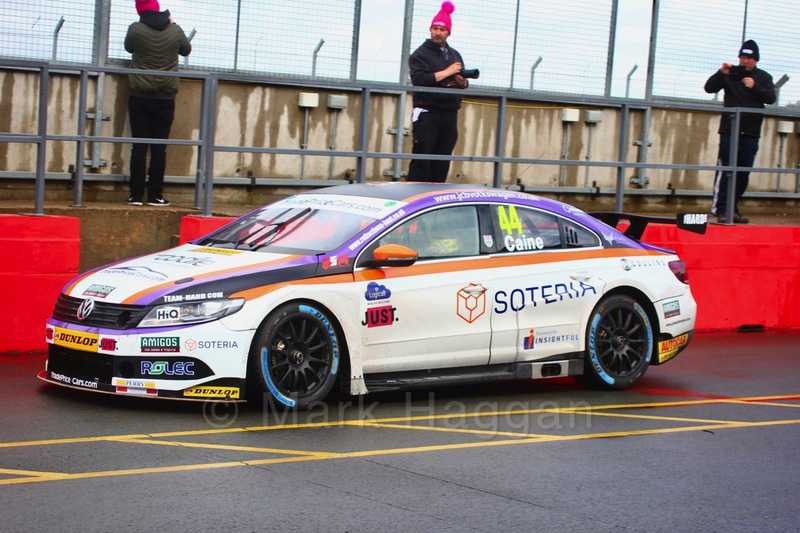 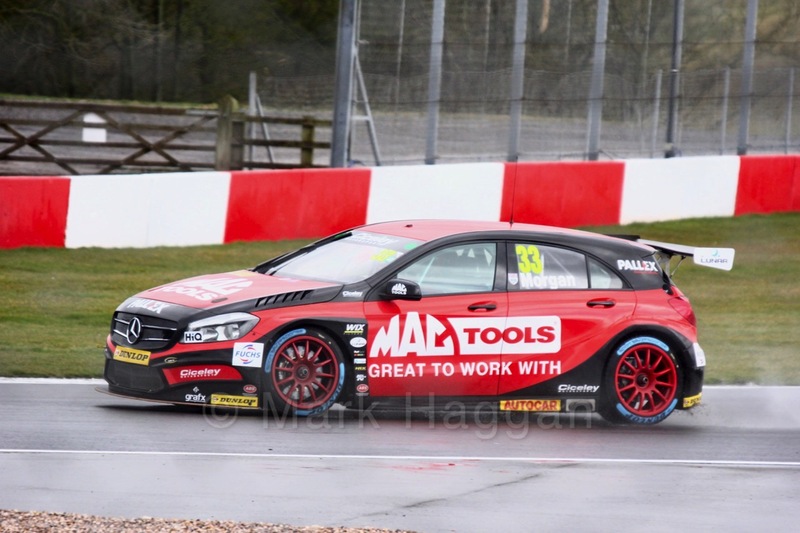 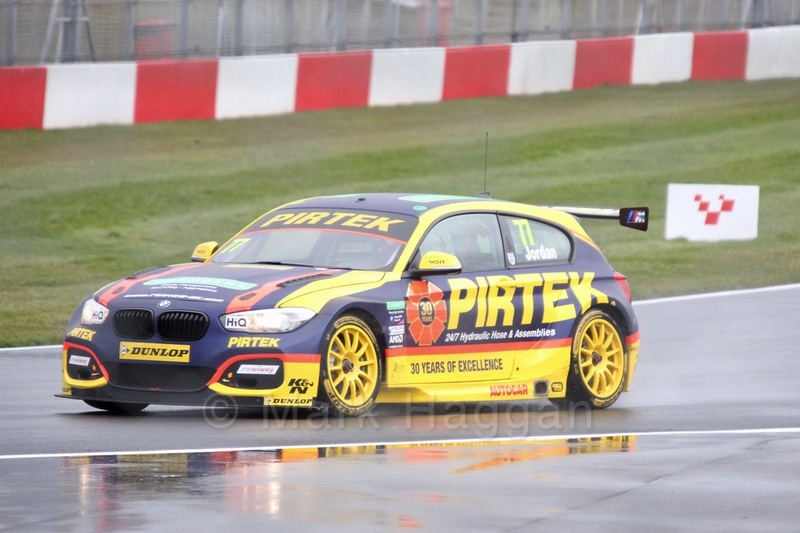 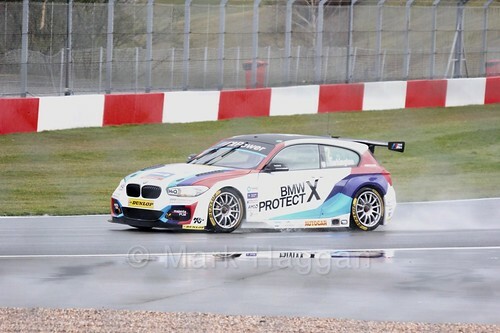 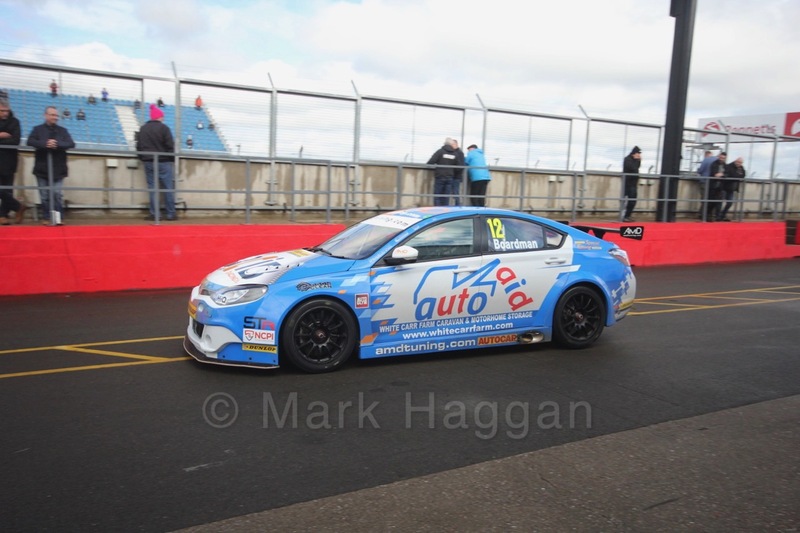 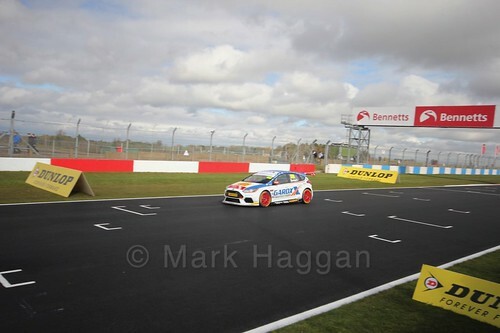 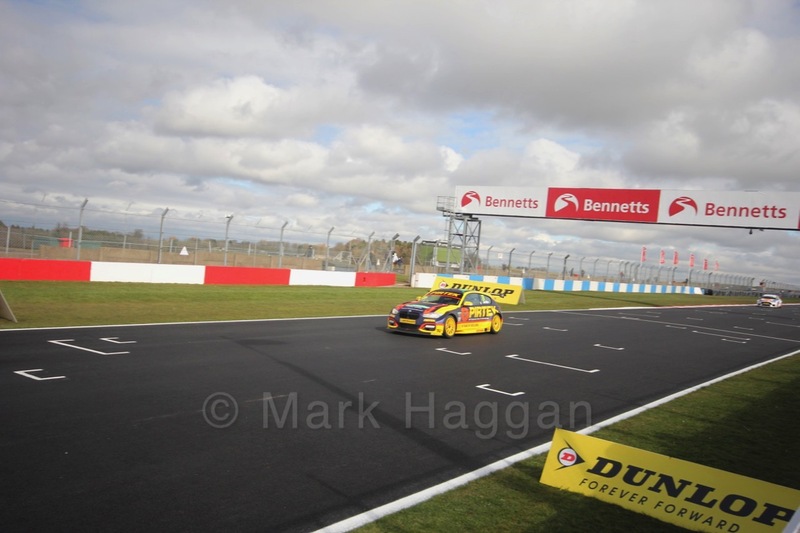 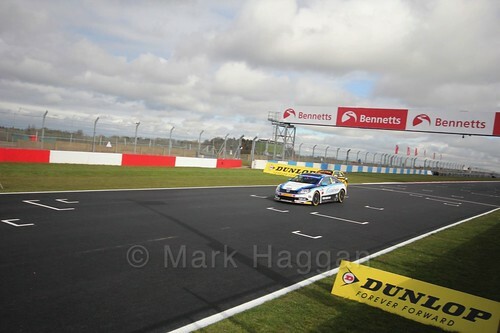 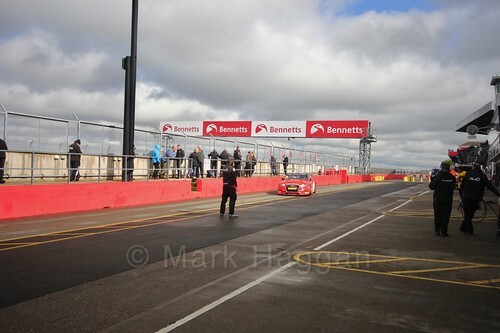 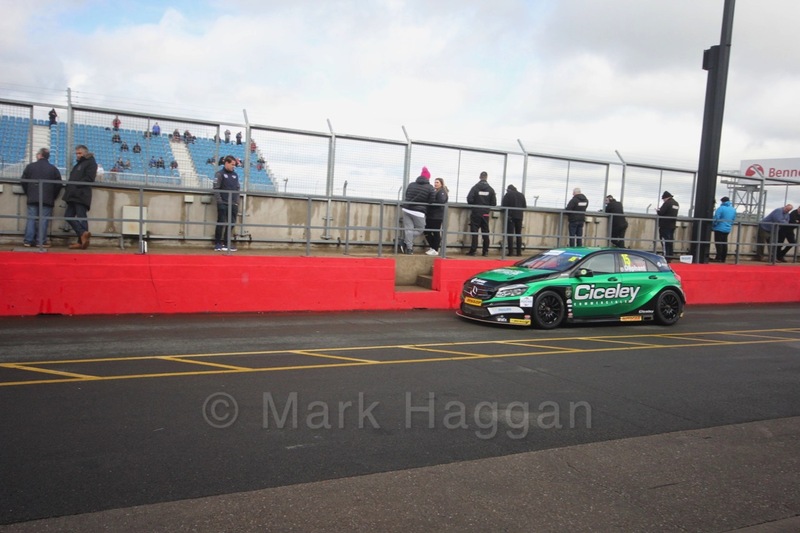 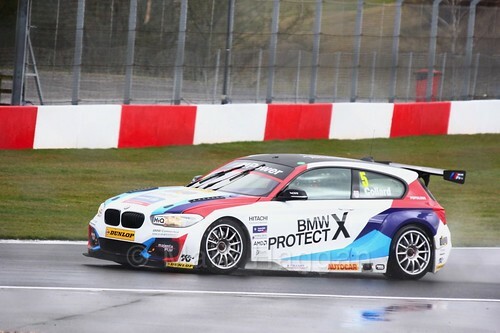 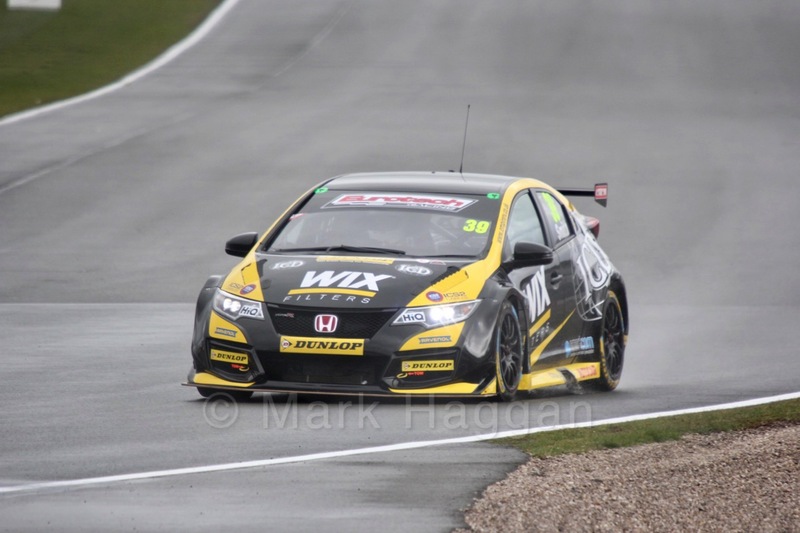 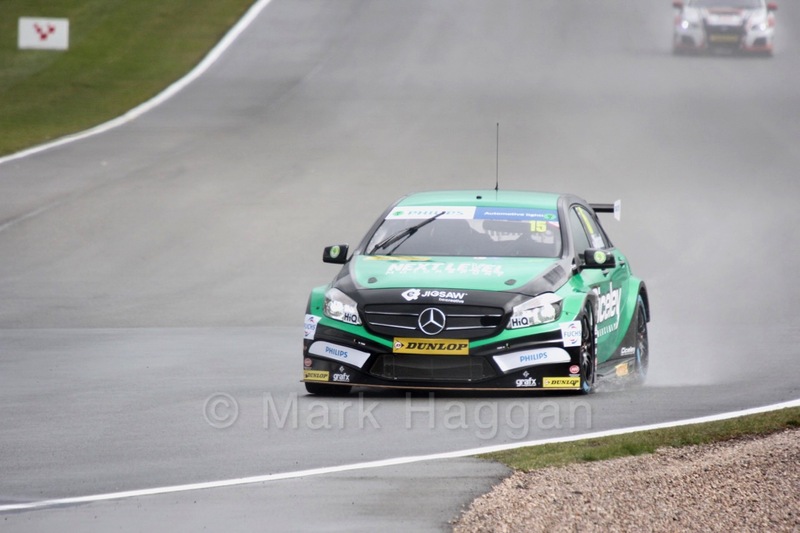 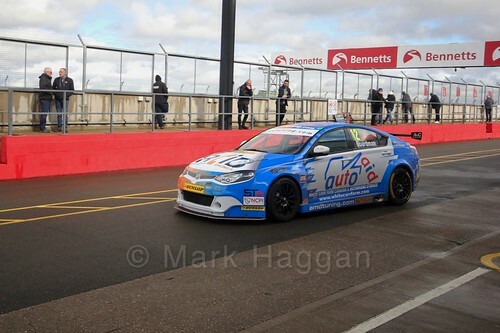 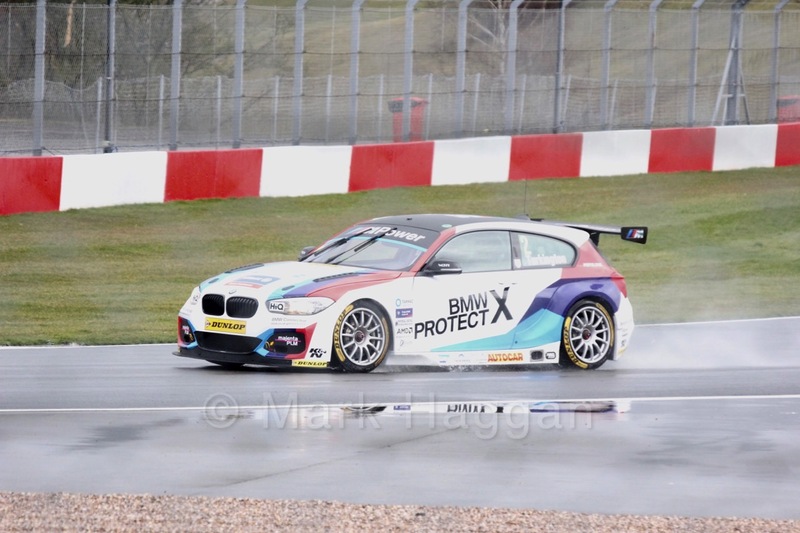 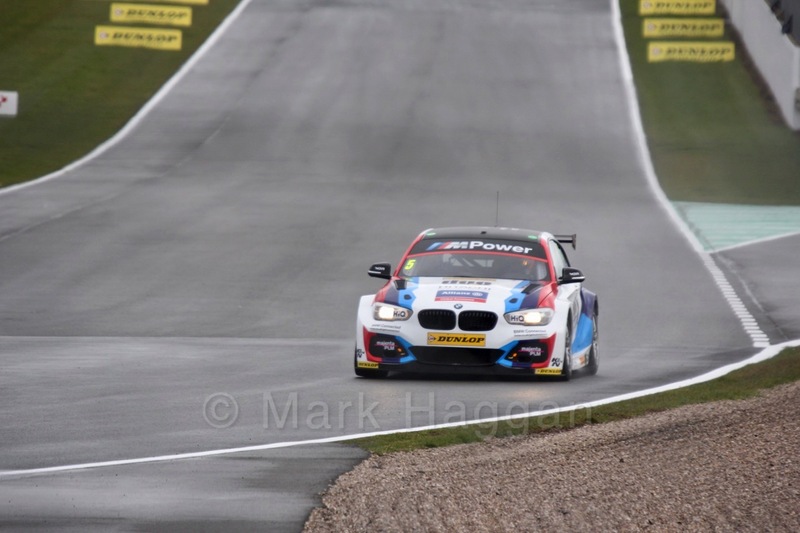 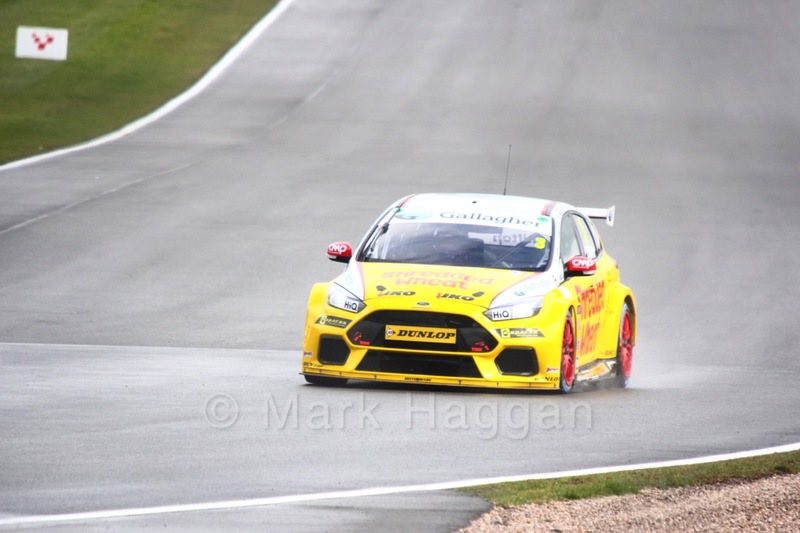 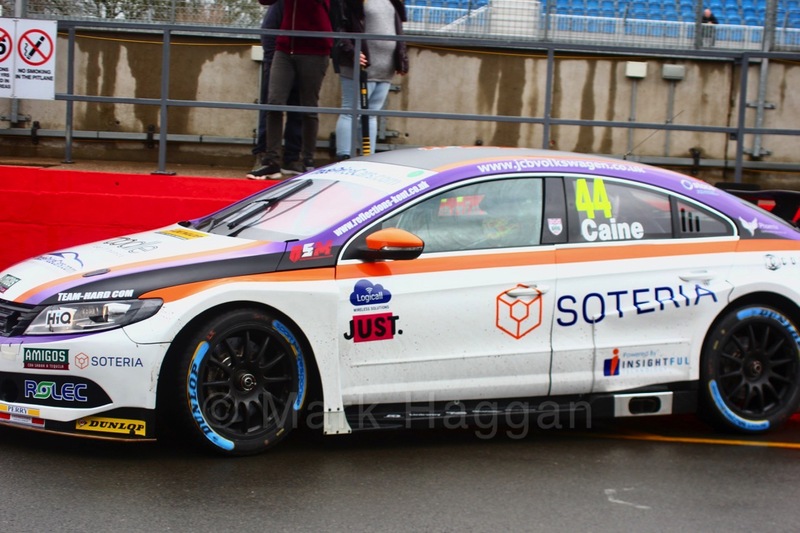 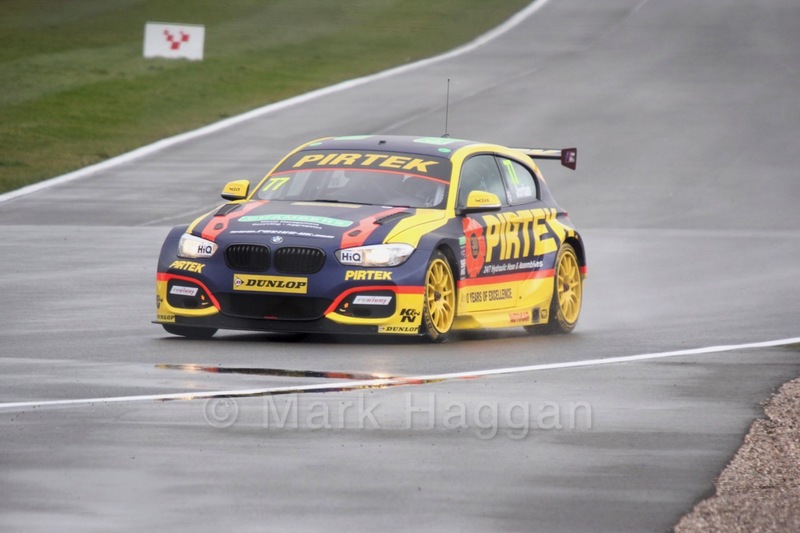 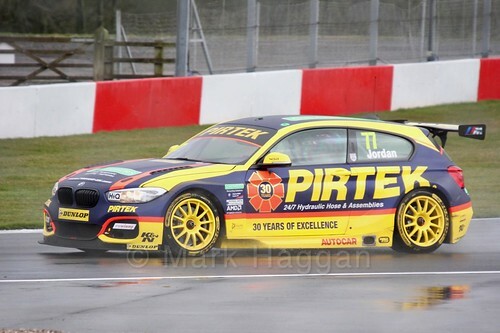 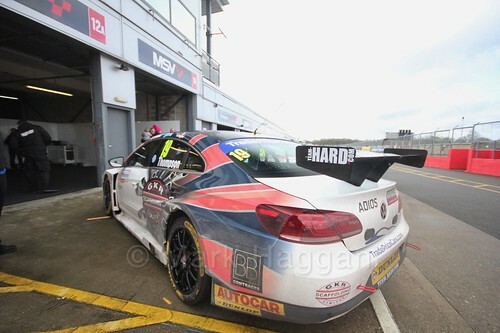 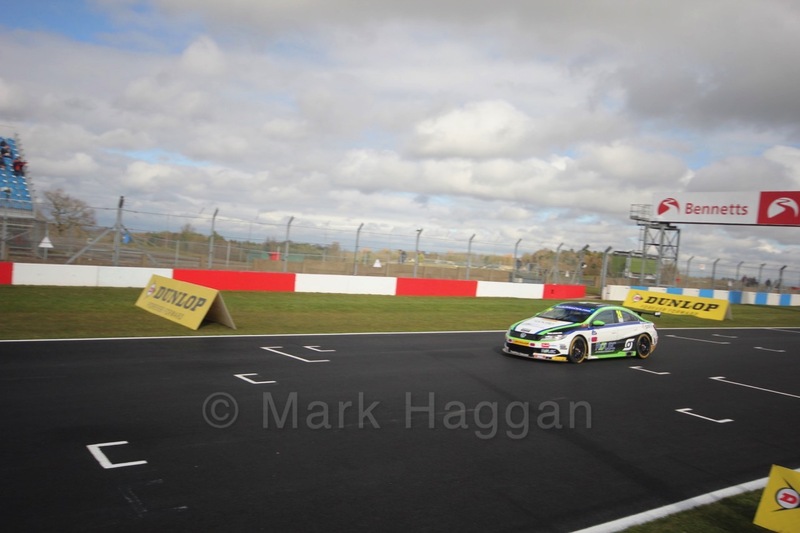 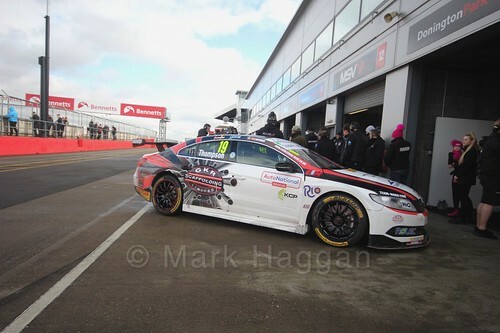 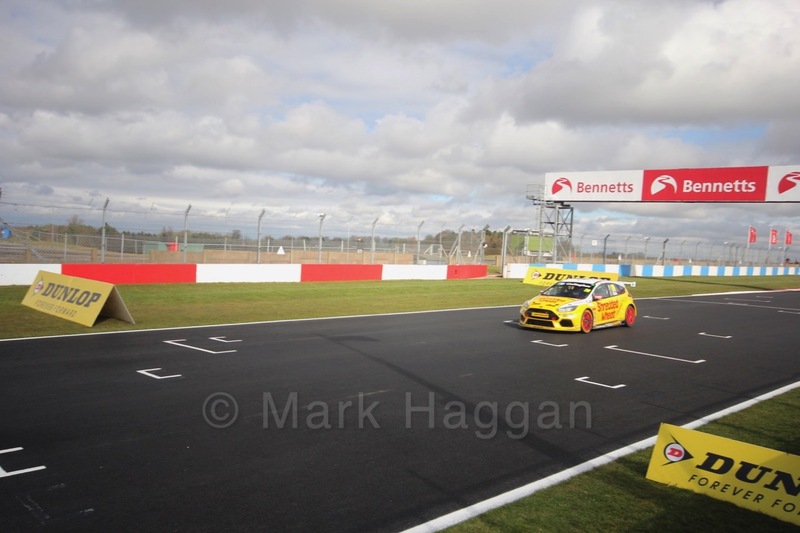 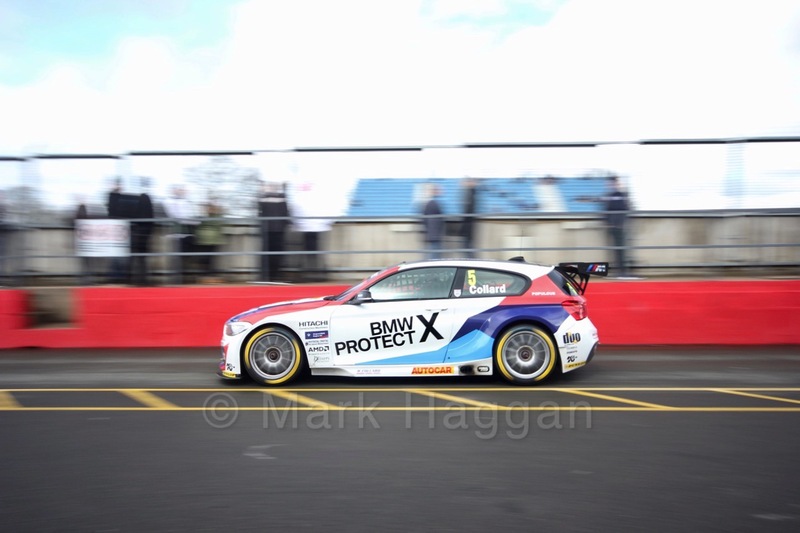 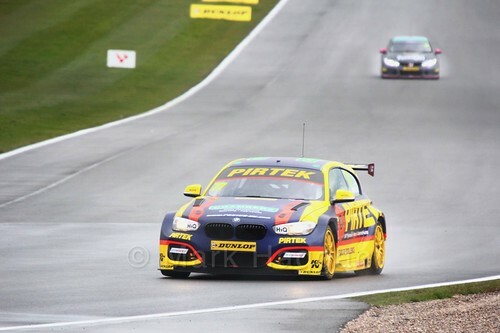 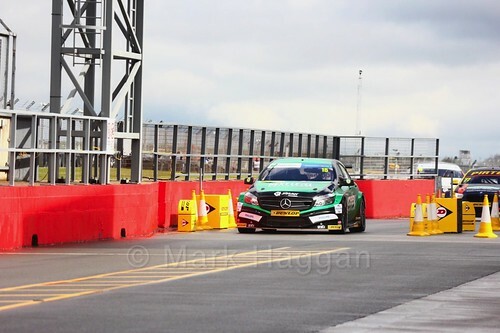 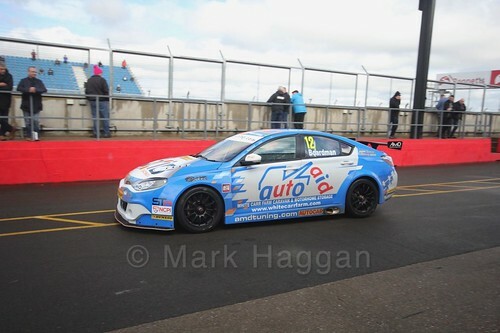 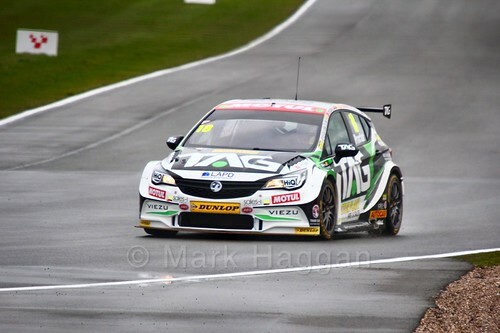 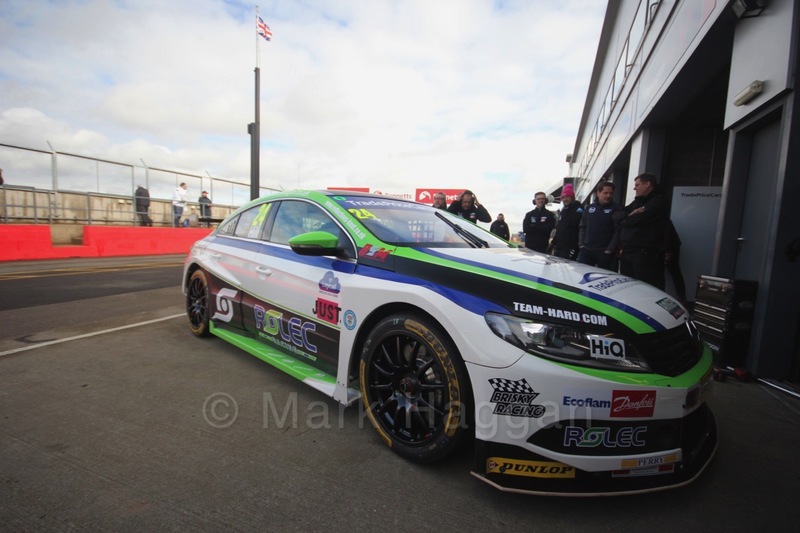 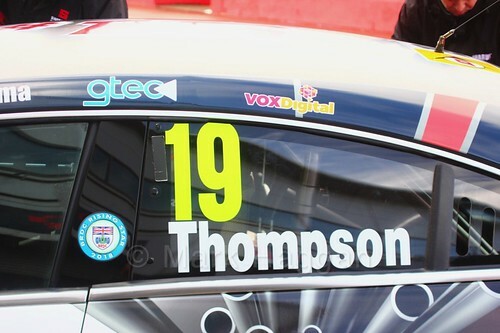 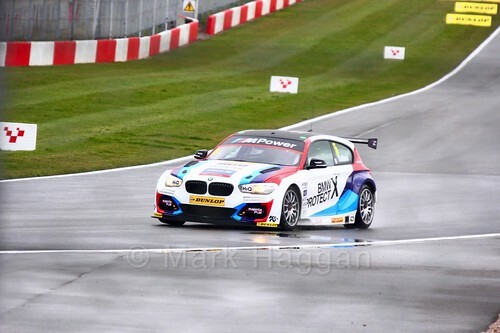 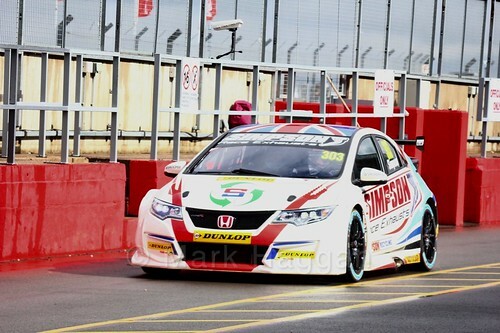 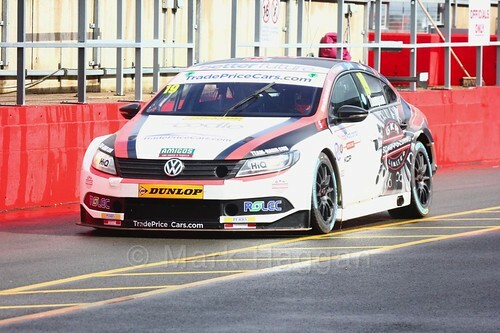 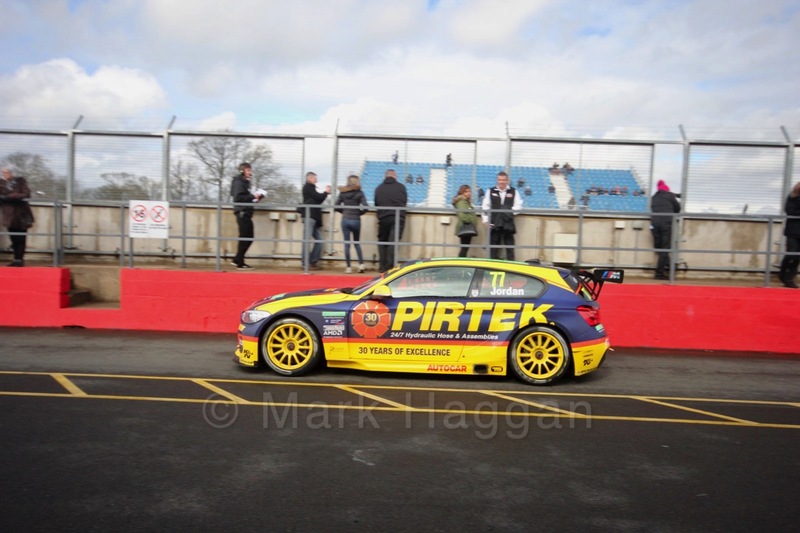 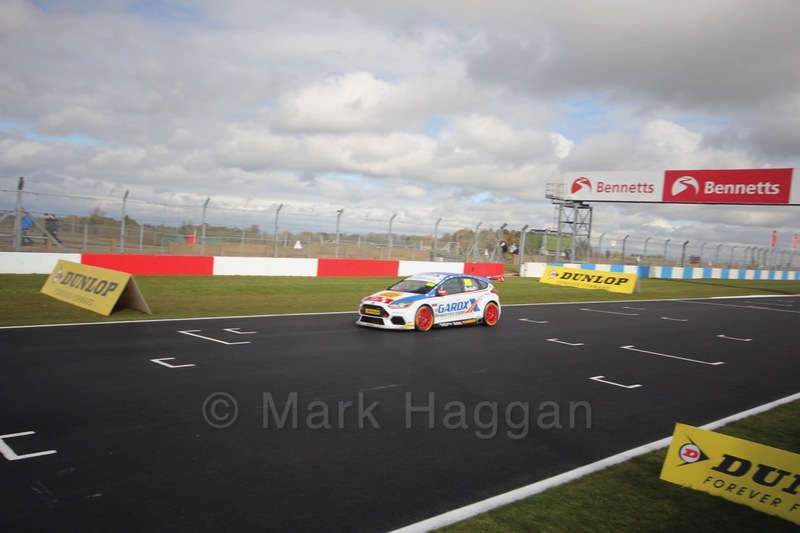 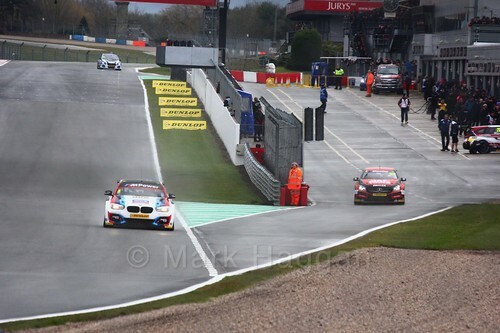 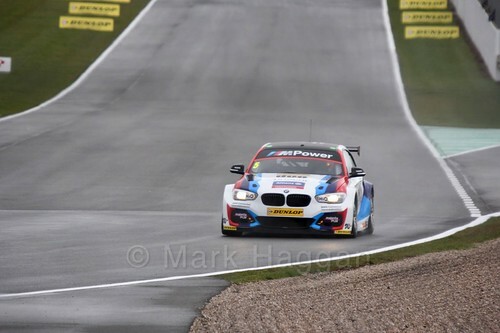 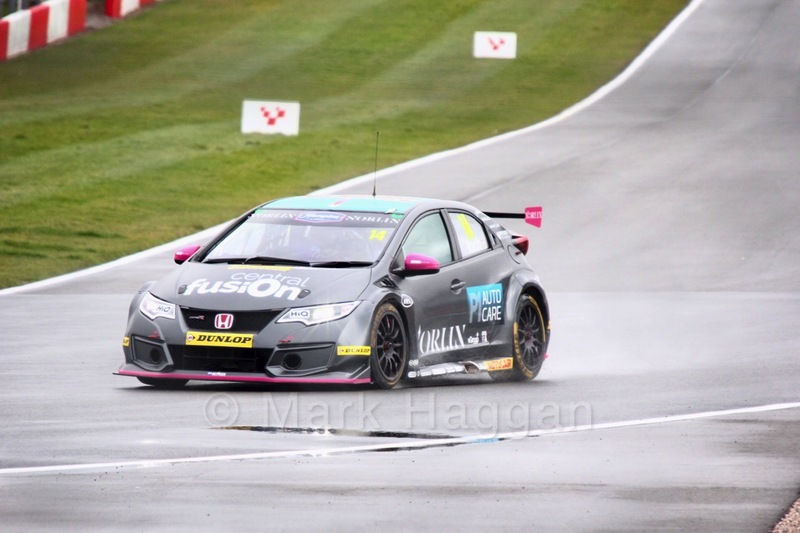 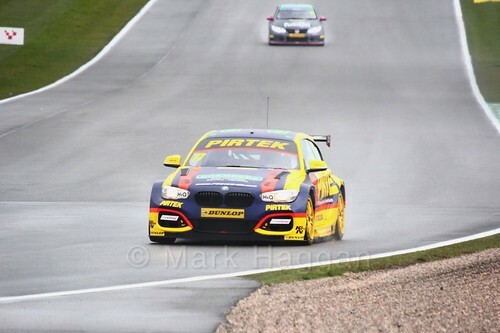 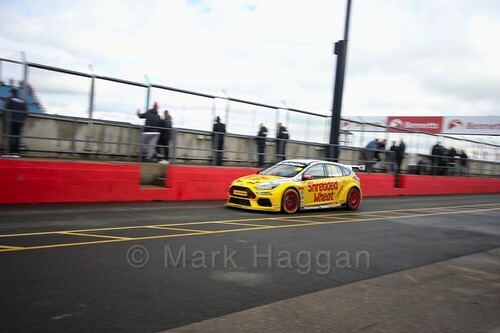 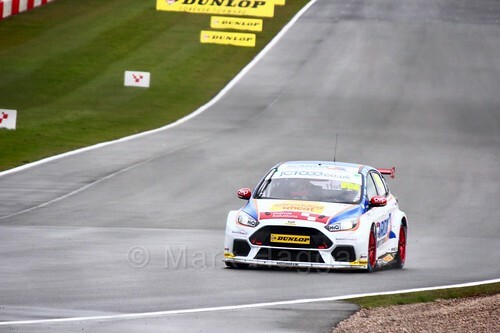 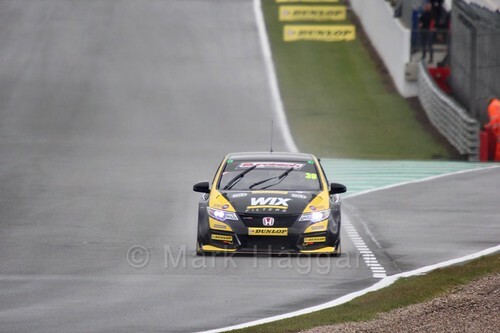 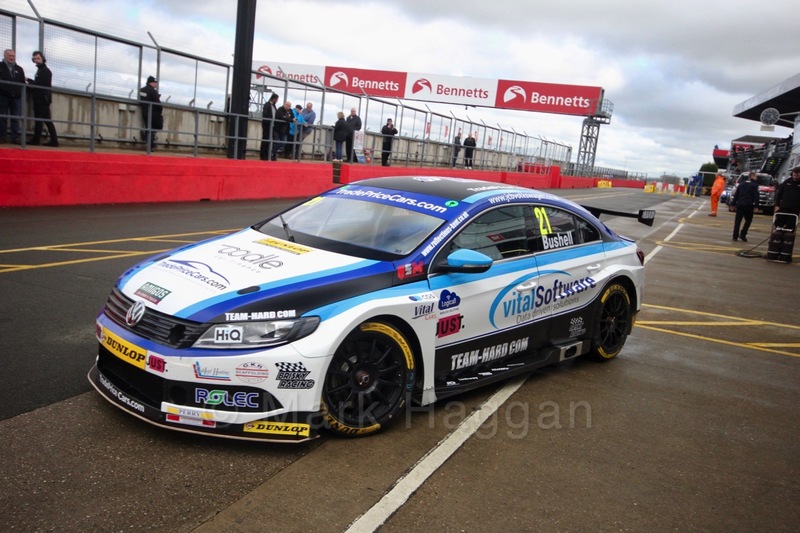 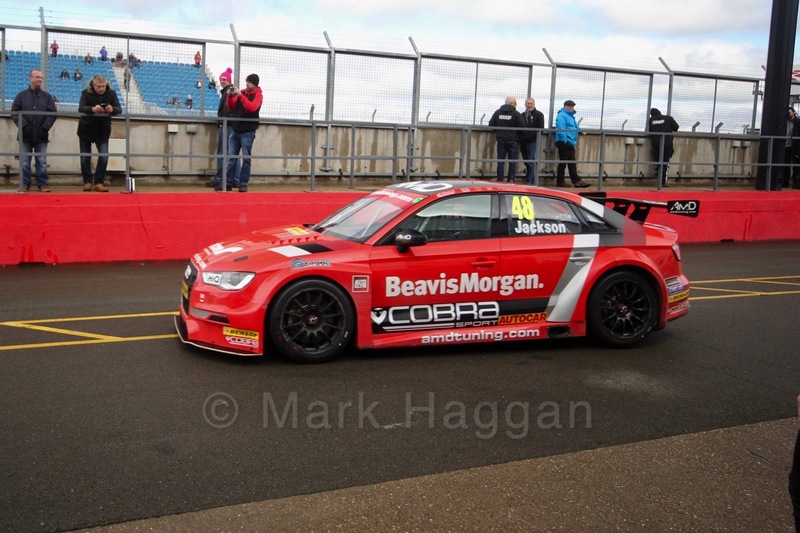 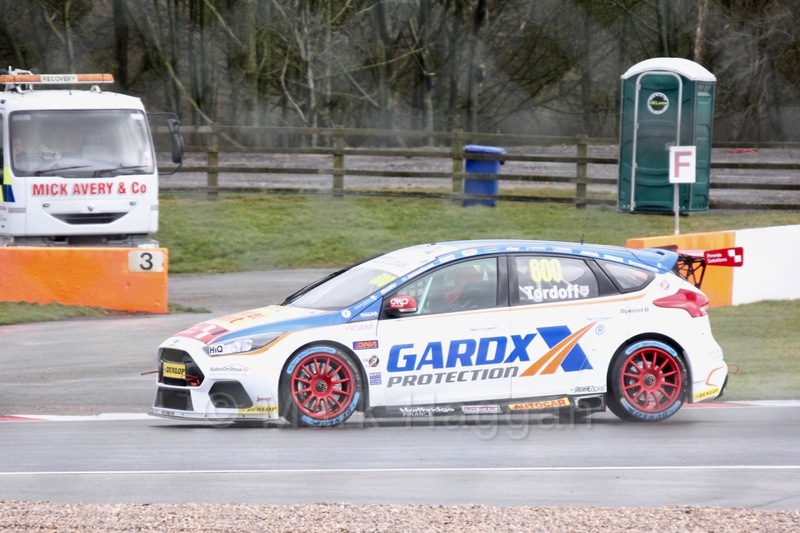 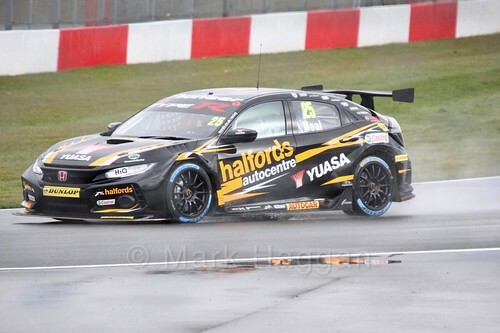 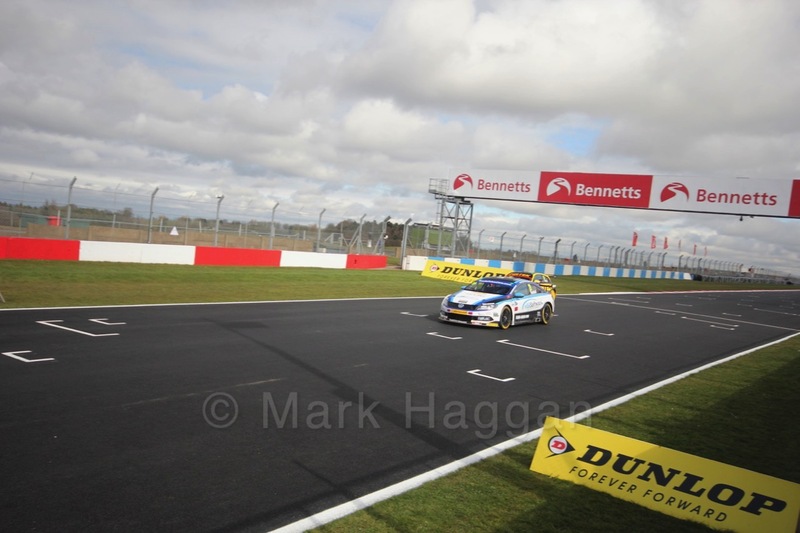 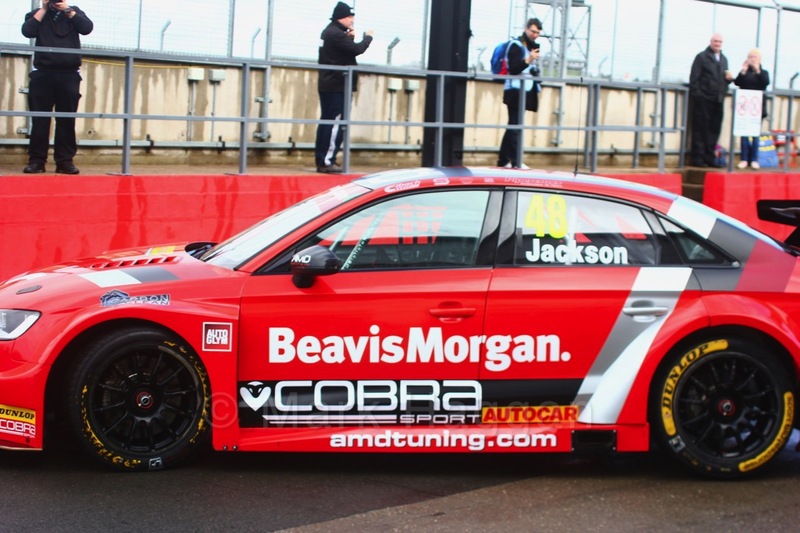 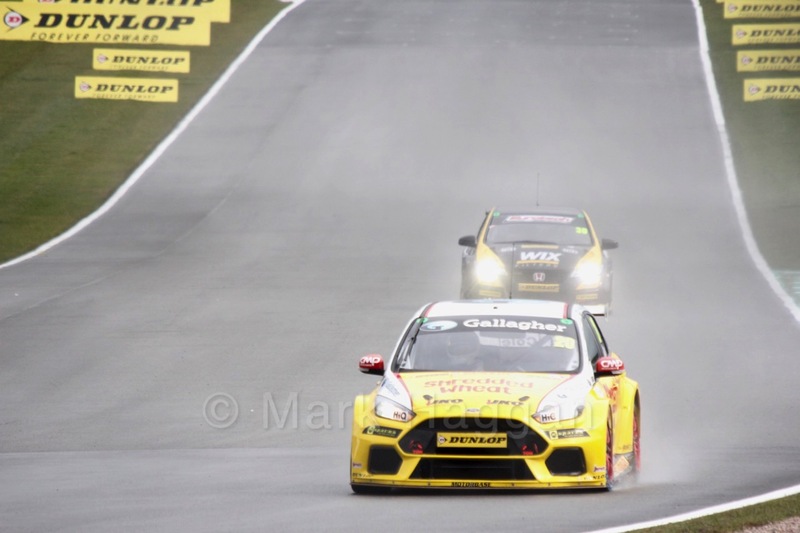 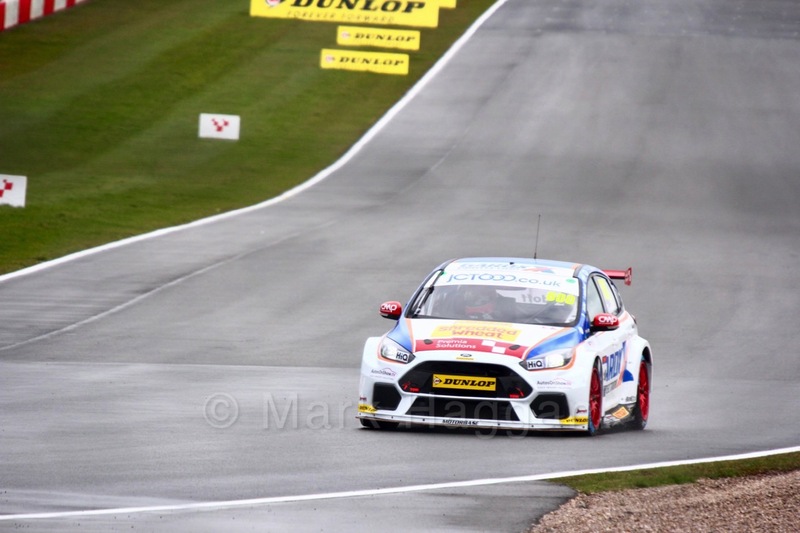 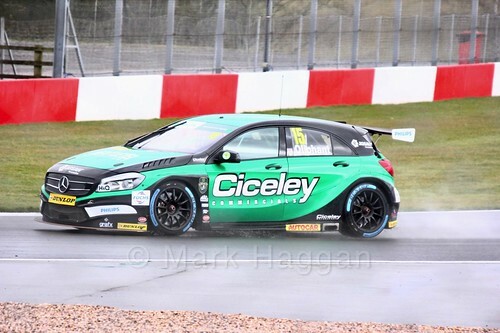 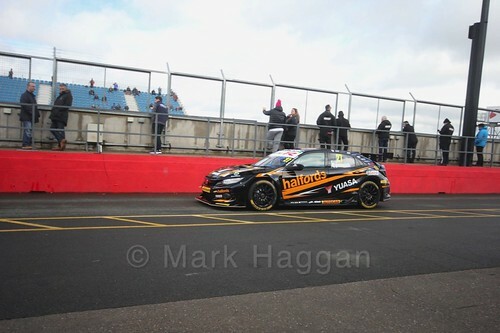 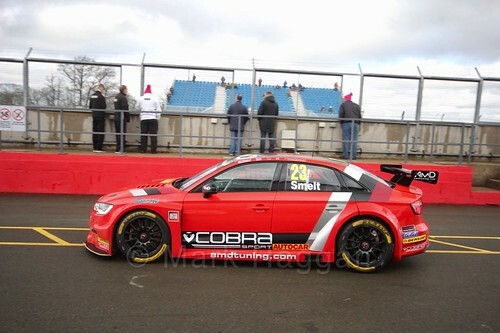 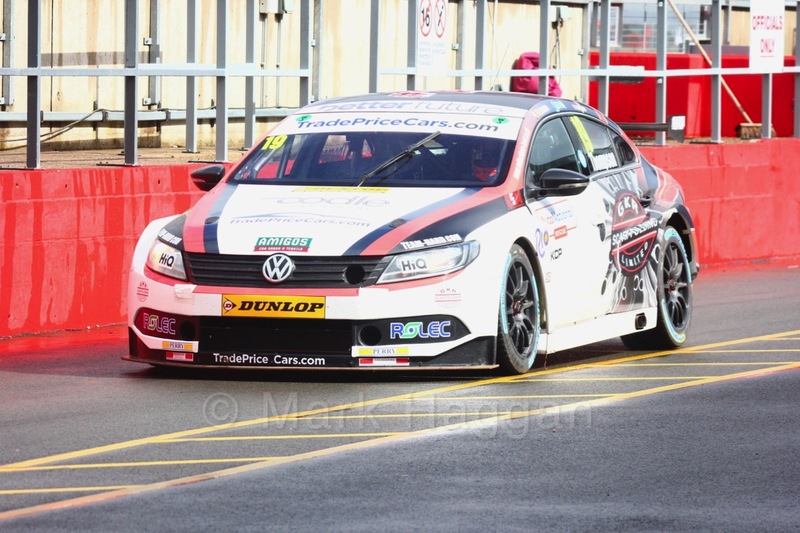 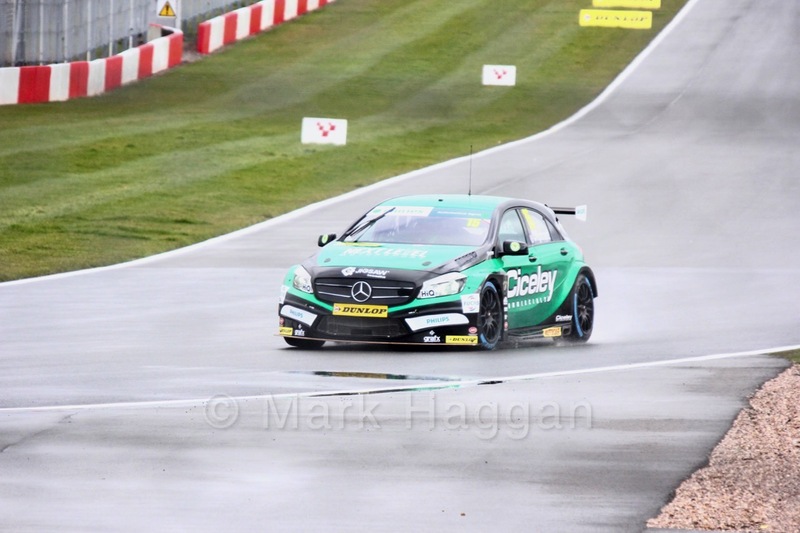 BTCC, Motor Racing British Touring Car Championship, British Touring Car Championship 2018, BTCC, BTCC Media Day, Castle Donington, Donington, Donington Park, Leicestershire, Media Day, Motor Racing, Motorsport, Pre-season Testing, Testing, Touring Cars. permalink.